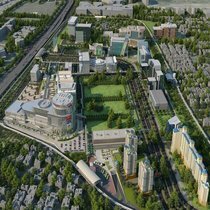 GURUGRAM: The department of town and country planning has decided that Gurgaon Metropolitan Development Authority (GMDA) can grant permission for change of land use (CLU) for areas within its jurisdiction. So far, CLU was granted only by DTCP, which has its office in Chandigarh. One of the main objectives of the move was to ensure that official files do not have to be sent all the way to Chandigarh, but instead can be cleared here itself. In a letter dated November 15, the director of town and planning, T L Satyaprakash, ordered that the entire record of cases of grant of permission for change of land use and related matter be shifted to GMDA. He also directed that the district town planner (DTP) and his staff be attached to GMDA. “The permission to grant change of land use of any area that falls within the jurisdiction of the newly constituted GMDA, will now be granted by it. This move will also help GMDA generate revenue in the form of external and internal development charges. On an average, nearly 10 CLU applications are received in a month. However, the power to issue licenses to private builders will continue to remain with DTCP,” Satyaprakash told TOI. The Gurgaon MP has welcomed this move by the Khattar government. Kumar said while an in-principle decision has been taken, the GMDA Act will have to be amended to factor the new rules. According to GMDA officials, the procedure to get all related files and documents from the department of town and country planning is currently on. “The process of transfer of all documents and records is on,” said a senior GMDA official.